GPS click is a compact solution for adding GPS functionality to your device. It carries the u-blox LEA-6S high-performance position engine. 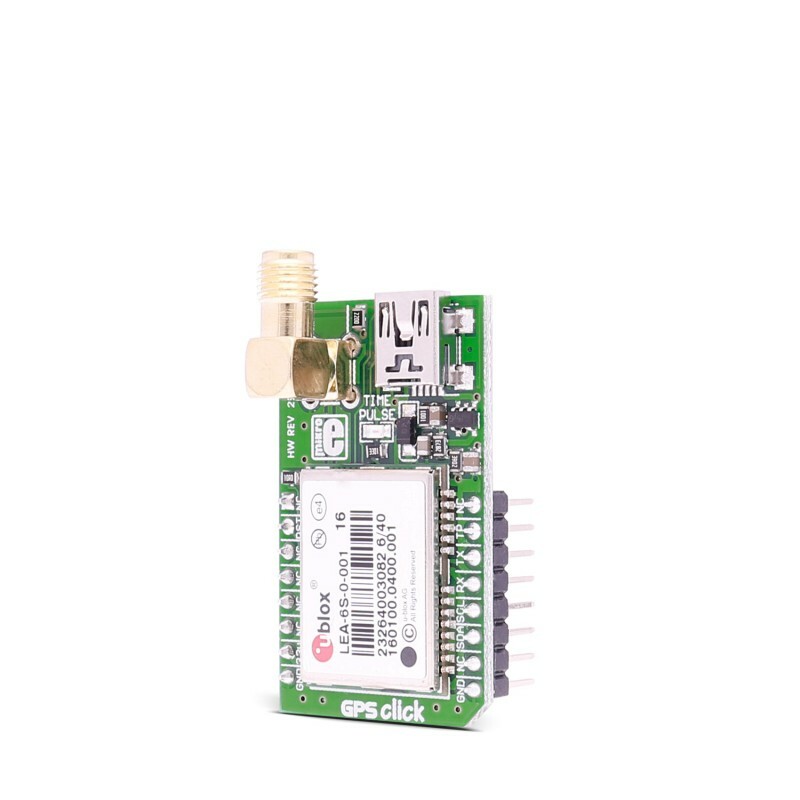 The click is designed to run on a 3.3V power supply and communicates with the target MCU through UART or I2C interface. 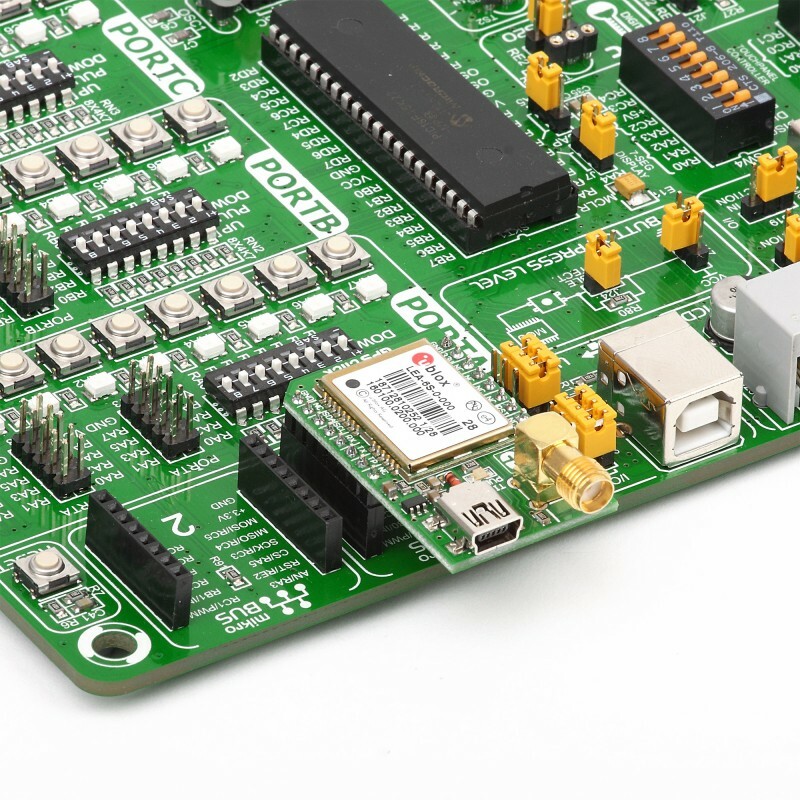 This table shows how the pinout on GPS click corresponds to the pinout on the mikroBUS™ socket (the latter shown in the two middle columns). 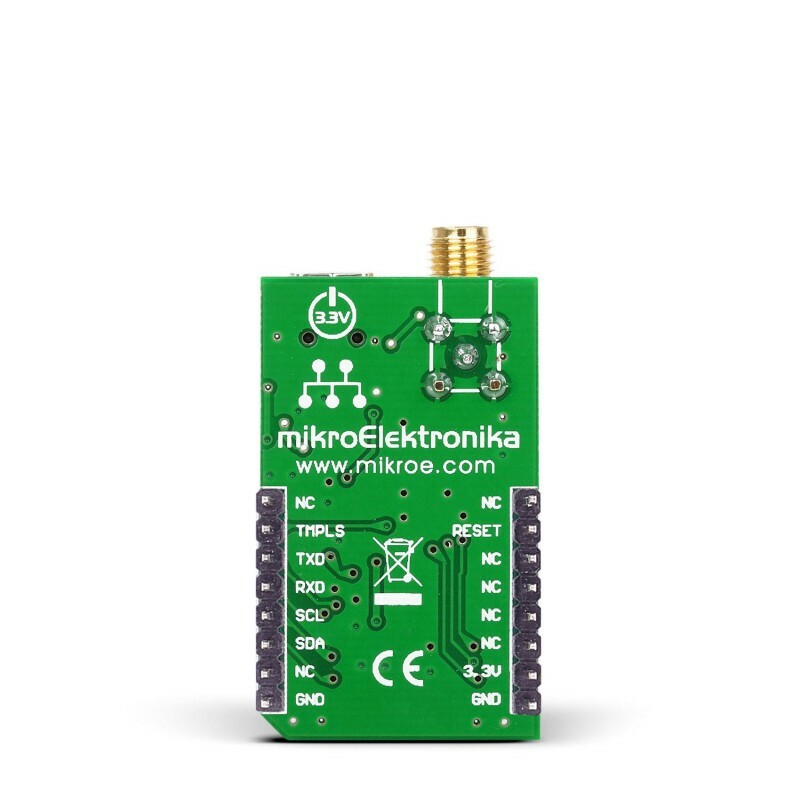 Code examples for GPS click, written for MikroElektronika hardware and compilers are available on Libstock. This snippet shows the procedure for parsing a string received by the GPS module. 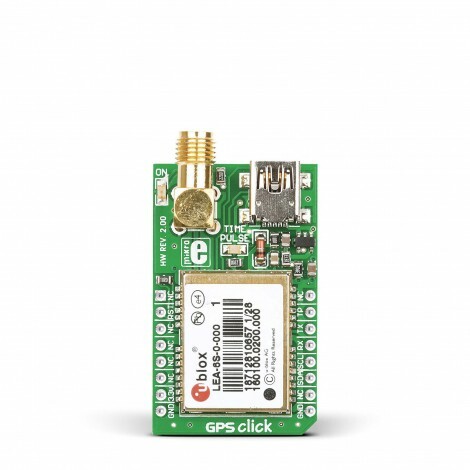 Libary for GPS implements RX buffer which stores characters coming from the GPS device. The parser will detect when a complete sentence has been provided and parse it into its respective elements. This library is usable on various types of GPS devices.